be part and tell us your story! We all know that every job has its tough side, but there are jobs that are much tougher than we could ever imagine, where people take on the greatest risks and overcome all dangers with passion and courage. As passion and courage alone are not protection enough, uvex safety provides that added extra for everyday work. “Everyday” is not really the right word for this kind of job. Read on to discover more: uvexTREME – the toughest jobs in the world! How brightness deep under the earth’s surface can be blinding and drilling work can take the breath away – find out about it here. 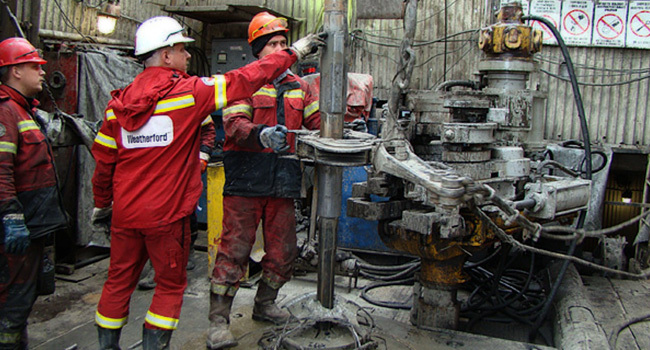 Our tip for anyone who feels that their job is not challenging enough: go and work in one of the most extreme environments in the world on crude oil production in Siberia. Find out more here. How extreme is your job? Is your job the toughest in the world? Why not show us! 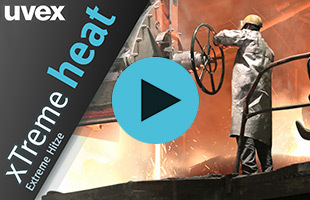 Be part of “uvexTreme – the toughest jobs in the world. Tell us your story on facebook/uvexsafetygroup or send us an e-mail to safety@uvex.de. We all know that every job has its tough side, but there are jobs that are much tougher than we could ever imagine, where people take on the greatest risks and overcome all dangers with passion and courage. As passion and courage alone are not protection enough, uvex safety provides that added extra for everyday work. “Everyday” is not really the right word for this kind of job. There could scarcely be a tougher job: in South Africa’s underground mining industry, thousands of miners work long shifts each day of up to 12 hours. It is an absolutely extreme situation where man and materials are repeatedly pushed to their limits. Working in constant darkness, where the sudden artificial tunnel lighting or a torch on someone’s helmet creates glaring dazzling light. Permanent exposure to dust that puts a strain on lungs and airways as well as immense levels of noise, which are multiplied by the narrow shafts. Extreme climatic conditions with high temperatures and oppressive humidity; tunnels in which movement is sometimes only possible in a crouched position or even by sliding along on your stomach. Strong infrared radiation from welding work, not to mention the incalculable risks of falling debris and stones. Without appropriate protection, such as the skyguard safety eyewear, the whisper noise protection and the silv-Air Classic FFP2v breathing protection masks from uvex, work under these conditions would scarcely be possible. 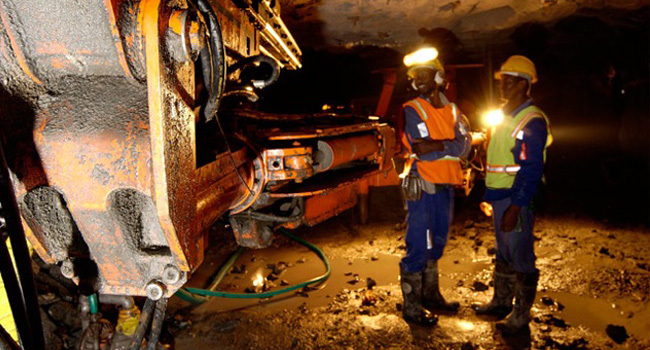 Day in and day out, South Africa’s miners do a job that is unparalleled. This deserves not only our respect, but also our maximum protection. The word “Siberia” is immediately associated with snow storms and icy coldness, but not necessarily with people there producing huge quantities of crude oil round the clock under these extreme conditions. Anyone looking for the toughest job in the world will find it in Siberia. One of the biggest risks in this kind of work is that oil will spurt out of a well and anyone operating the machinery, which is still under enormous pressure, might be hit by the escaping oil. Work on steam generators is also a constant source of danger as, time and time again, the high pressure involves dealing with emissions of scalding hot steam, contamination from burning oil and the uncontrolled discharge of sand. And, as if that was not enough, workers often have to carry out their tasks in the snow at temperatures as low as -50 degrees. uvex safety eyewear with a special anti-fogging coating noticeably minimises the risks for wearers. Unfortunately, uvex cannot change the weather. The development of safety shoes is today not only determined by the requirements of the areas of application, but also by technical innovations, ergonomic and medical aspects, fashion trends and sustainability issues. The new and already award-winning uvex 1 safety shoe series provides an integral response to these requirements. Safety shoes are primarily intended to protect. This covers not only direct accident protection, but also the reduction of strains which impact on the wearer during work and may lead to fatigue or gradual physical impairment and falling productivity. The result is reduced concentration and an increasing risk of an accident. Ergonomic design and construction is therefore the key when it comes to improving wear comfort for safety shoes and contributing to prevention and health protection. 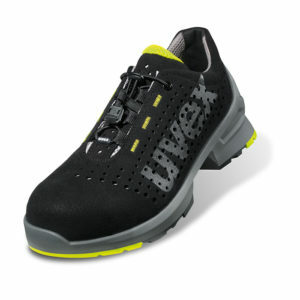 uvex 1 safety shoes protect and support the natural movement of the human body. The pressure and stresses on the musculoskeletal system at work are reduced on the basis of the latest physiological research and innovative technology, optimising wearer comfort. The ergonomic lightweight construction combined with the new leather-free uvex monoskin shaft design offers the perfect balance between protection and comfort. 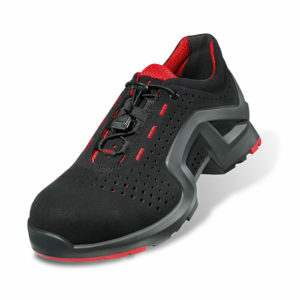 100 g weight reduction compared to the light and successful bestseller uvex motion style takes the wear comfort of a safety shoe up yet another notch. The uvex 1 multilayer shock absorption system based on an ergonomically designed, double-layered PU outsole and a comfort insole with optimum shock absorption in the heel and the front of the foot minimises stress on the musculoskeletal system and offers pure walking comfort. The energy absorption in the heel is twice that required by EN ISO 20345. 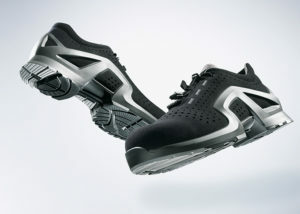 Lasting wearer comfort based on a good fit and dynamic individual adjustability to the foot. The flexible uvex multiple-width system from width 10 to 14 offers an economical adjustment option for different foot widths. The elastic uvex IAS quick-locking system stabilises the foot securely, but still allows the necessary flexibility, as every foot swells up and then contracts again over the course of the day. The elastic uvex IAS quick-locking system stabilises the foot securely, but still allows the necessary flexibility, as every foot swells up and then contracts again over the course of the day. The light, non-metal, anatomically formed uvex xenova third generation toe cap guarantees space for the toes and prevents cold bridges. In addition, the entire uvex 1 series is available with orthopaedic adjustments certified in accordance with BGR 191 and ÖNORM Z 1259. The uvex climazone climate management ensures permanently lasting breathability due to the workmanship of highly breathable upper and lining materials combined with a removable climate comfort insole for optimum and lasting breathability. The upper material is certified according to the Oeko-Tex Standard 100. However, safety features and comfort are only two core components for optimum protection. Design is also important, as only safety shoes that look appealing will be worn and be able to fulfil their protective function in the case of an emergency. 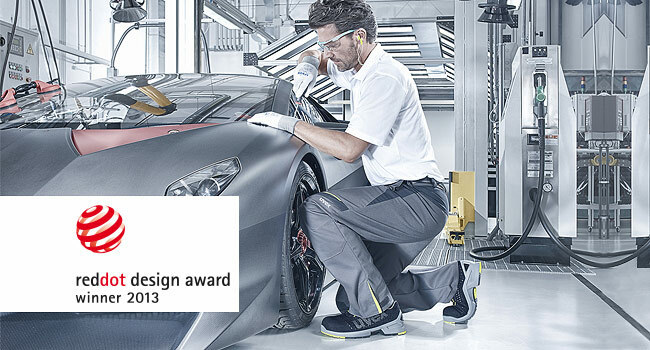 The uvex 1 safety shoe, which will be presented as a world innovation at this year’s A+A 2013 from 5 to 8 November, has already won international design awards. In July of this year, the two models uvex 1 – 8543 and uvex 1 x-tended support – 8512 from the series received the renowned international Red Dot Design Award 2013. In October 2013, the same uvex 1 models received the International Design Award Baden-Württemberg, Focus Open 2013 in Silver. The uvex 1 safety shoe range covers shoes, boots and sandals in various designs and colours in protection classes S1 SRC and S2 SRC in sizes from 35 to 52. Attractive ladies models are produced on an extra ladies production line. The uvex 1 safety shoes meet the ESD requirements and are free from substances harmful to the wetting properties of lacquers. The new uvex 1 safety shoe series combines ergonomics, comfort, design and sustainability in one innovative product concept. At work, hands are exposed to particular risks. In addition to mechanical dangers, skin diseases and allergies in the workplace lead to absences and higher costs. The European PPE Directive and EN 420 specifically note that “material in gloves, decomposition products and substances contained therein…may not have a negative effect on the health and hygiene of the wearer”. In the dermatological profession, too, the substances in gloves are ever more the focus of attention as a potential cause of allergies and sensitivities. The toxicological and dermatological harmlessness of safety gloves are therefore very significant and make a considerable contribution to reducing absences and health costs in companies. The uvex phynomic series is a new way in which protective glove manufacturers can develop toxicologically and dermatologically harmless safety gloves. This is by means of seamless knitted safety gloves which have a cut protection level of 1 in accordance with EN 388 (mechanical risks) and can be used in particular for precision work, general assembly work and general activities (e.g. maintenance). The first clue to toxicological harmlessness in safety gloves is in testing for harmful substances in accordance with the international OEKO-TEX® standard. However, not all substances used in the manufacturing process and in the wearing of safety gloves are part of the OEKO-TEX® testing catalogue. In particular, organic solvents (dimethylformamide, secondary amines etc.) and the group of vulcanisation accelerators and their corresponding secondary products (carbon disulphide, nitrosamine etc.) are not covered by the current testing catalogue. New development concepts arise here and offer product solutions which dispense with the use of organic solvents and vulcanisation accelerators (accelerators) in the manufacturing process entirely. The result is innovative hand protection products which are not harmful to health and have hypoallergenic characteristics. The uvex safety group uses the term ‘uvex pure standard’ to describe this high level of product purity. 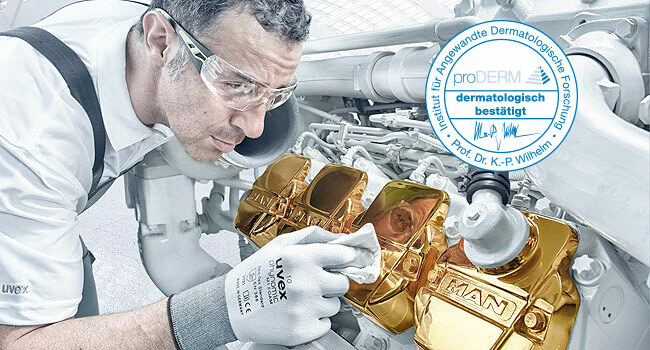 New paths are being trodden in terms of a universal health strategy for hand protection by the uvex safety group in cooperation with the proDERM® Institute for Applied Dermatological Research GmbH. As well as the toxicological harmfulness, dermatological tolerance must also be independently confirmed. 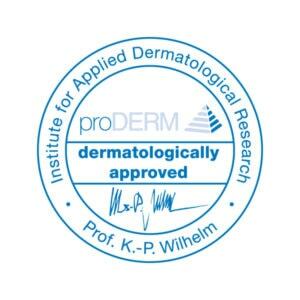 The seal of quality “dermatologically approved” is awarded by the renowned proDERM® Institute for Applied Dermatological Research GmbH. 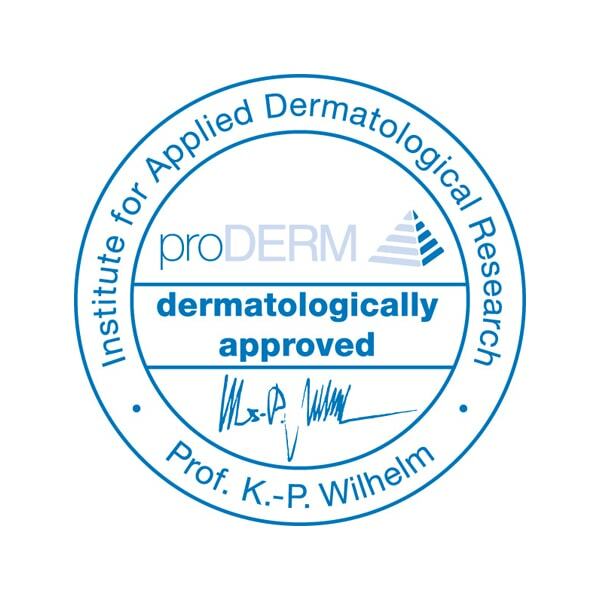 The institute was founded in 1994 by the dermatologist and allergy specialist Dr Klaus-P. Wilhelm and is a pioneer in independent dermatological contract research. The product which is to be certified must meet current dermatological and toxicological requirements. Another condition for the seal to be awarded is proof of skin tolerance in two separate studies. Generally, this involves a study with a maximised exposure (repeated patch test) of at least 30 test participants and an in-use study in which the product is used in a similar manner to how it would be used in reality, as well as medical testing, likewise of 30 test participants. The first thing to be tested is whether the composition of the product has been optimised in terms of skin tolerance. An independent toxicologist has to confirm whether or not the dermatological and toxicological requirements have been met. This involves a repeated plaster test on at least 30 test participants. Due to the maximum exposure, a first evaluation of the skin tolerance is carried out. Test participants (of whom around 25% have sensitive skin or are type IV allergy sufferers) have pieces of the gloves applied to them – parts of the cuffs and the coating. The samples are applied occlusively for 24 hours. Tests are then carried out after 15 minutes, 24 hours and 48 hours under medical supervision. This means that tests are conducted for both immediate and/or delayed reactions (type I and type IV allergies). Water and soap are used as controls for the test. The whole test is repeated three times with the same test participants. This relates to a dermatological usage test with a dermatological and allergenic evaluation which looks at the use of the product in operation over an extended period. To this end, 30 test participants are given the safety gloves over a period of two weeks. These must be worn daily for the duration of the working day. An ongoing assessment of allergic reactions is then carried out under medical supervision. The result of the test has to show a good or very good skin tolerance. Products which only have an average skin tolerance do not receive the seal. 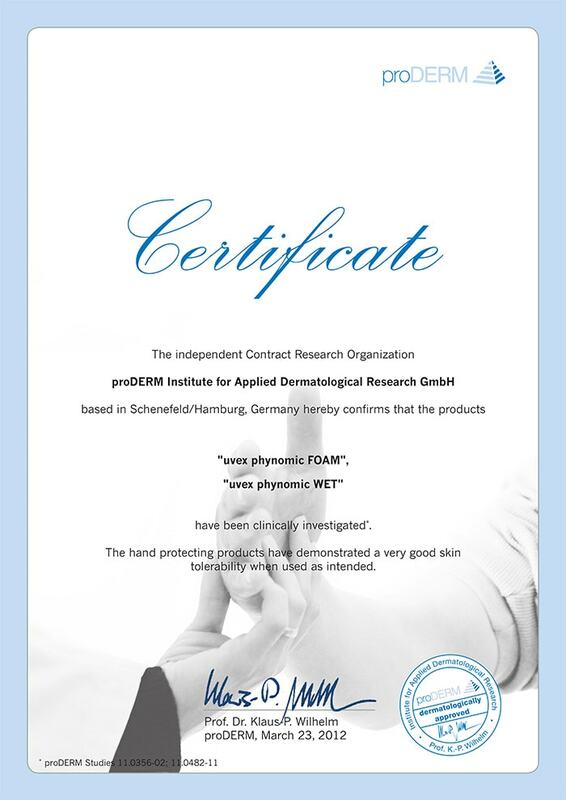 This test is therefore able to confirm a very high level of skin tolerance in the uvex phynomic protective glove series. Dermatological harmlessness is, of course, only the first step. The product must also be accepted by users (particularly those with sensitive skin). DEMAG Cranes, the specialist in all types of cranes, employs a large number of people in the chain hoist department at the Wetter location in Germany. Wearing gloves is, of course, compulsory. In the gearbox assembly department, Safety Engineer Mr Flögel has been looking for a special solution for years. The 43-year-old Assembly Mechanic Detlev V. has had permanent problems with his hands for almost seven years. 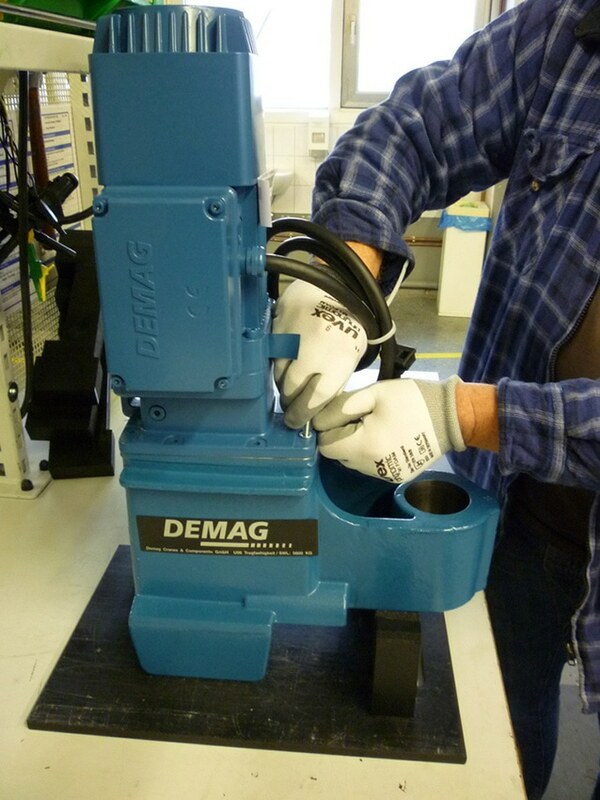 “Dry, chapped hands are a constant problem when wearing safety gloves. I have been having medical treatment since 2005.” Mr V. has exhausted all of the possibilities available to him and tested a variety of products but was unable to find a solution. In August 2011, he took part in a wearing test for a new product: the uvex phynomic FOAM safety gloves. “Ever since I’ve been wearing the gloves, I have not had any further problems with my skin,” he says. This was not a one-off. Across the department, employees praised the excellent wearer comfort, the outstanding fit which enabled optimal assembly, and the exceptional skin tolerance of the product. This example shows that “pure” products can be used to solve acute problems or to identify latent difficulties. A large number of employees had come to terms with “minor” skin problems and were pleased when the introduction of pure products was able to restore things to normal. As an innovative brand system provider with manufacturing expertise, we aim to offer our customers the optimum products for all manner of work requirements. Our uvex safety eyewear, with maximum wearer comfort, 100% UV 400 protection and unique coating technology, help us to achieve this goal. 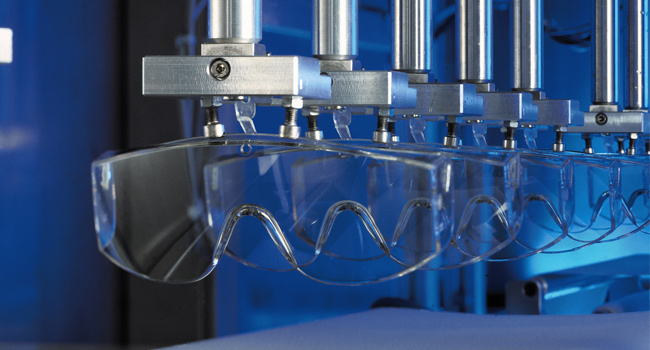 At our headquarters in the Franconian town of Fürth, we manufacture products in the competence field of eye protection, from the plastic frame to the coated lens. The correct coating is essential in order to provide safety eyewear suitable for virtually any application. With our own fundamental research division, ideas are implemented and projects are realised in the area of coatings. Mechanical, optical and functional properties are continuously scrutinised in our own testing laboratory. With more than 85 years of experience in occupational safety, we know what it takes and offer our customers two coating methods for optimum wear features. uvex optidur coated lenses have the same properties on both sides of the lens. The uvex optidur NCH coating provides extreme scratch resistance and resistance to chemicals on both sides and particularly good cleaning qualities, making it ideal for dusty and robust working environments. The highlight and core competence in the field of eye protection is the innovative supravision technology. This enables us to coat a lens so that it is scratch-resistant on the outside and non-fogging on the inside. The outside of the lens is also resistant to chemicals and very easy to clean and therefore has an extremely long lifespan. On the inside, the duration of the anti-fogging markedly exceeds the standard requirement of 8 seconds. uvex supravision HC-AF offers wearers fog-free vision for twice as long as the norm, while the anti-fog performance of supravision is even three times greater than that required by the standard. They are particularly suited to working environments where eyewear suddenly mists up and has to be cleaned frequently. Compared with many competing models on the market, our uvex coatings are permanent and do not wash off, even when cleaned repeatedly. Customers therefore have durable, functional and perfectly fitting safety eyewear. For work areas with extremely high air humidity and persistent exposure to condensation, a special anti-fog coating has been developed that gives wearers lasting mist-free vision. Supravision extreme coated lenses are also scratch-resistant on the outside and offer an anti-fog performance on the inside, which does not become saturated, so never steams up. The super fit ETC model, which has been specially developed for environments with changing temperatures and has an extreme coating on both sides, offers the perfect solution. To protect our eyes from optical hazards due to infra-red radiation, we offer a special infradur coating, which protects against infra-red radiation and ultraviolet light as well as minimising welding spark damage. The new infradur AF coating also offers an anti-fogging effect on the inside, which protects wearers from condensation when working. To coincide with this year’s A+A trade fair in Dusseldorf, we shall be presenting a new coating technology: uvex supravision CR. This is an innovative coating with anti-fogging protection for the new uvex CR models that has been specially designed for multiple sterilisation in autoclaves. Experience the benefits of our coating expertise and inform yourself about other interesting topics in the field of eye protection. You are also welcome to visit our headquarters and see the unique eye protection competence centre for yourself.